I started buying local honey recently because my husband has really bad allergies. Supposedly because the bees use local flowers, eating local honey is like getting an allergy shot of all your local pollens! A much sweeter way of dealing with hayfever. I love honey too! I drink a honey latte every morning:) Savannah has an amazing honey company that they sell through gourmet shoppes and Williams sonoma Yummy!! Love the honey photos! And I need to try that gourmet honey - sounds delish! Oh I adore honey! Nothing like a piece of grilled butter and honey toast with coffee in the mornings :) Just found your blog and love it! I'm a new follower :) Have a great night! So funny, as I am reading your post I am actually enjoying a spoonful of raw honey. I usually have one in the morning but had forgotten. That honey you described sounds so good! I will be there on Saturday too...i am so excited to see the homes by Alice Lane...really so excited!! Oooh, yes, love those honey animal prints. 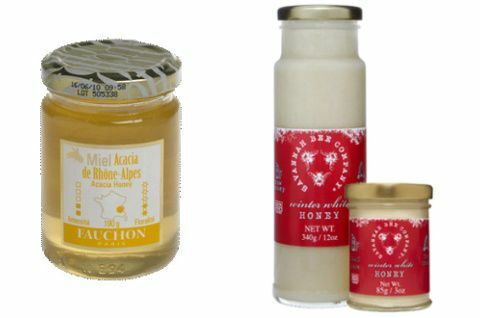 Love honey as well - have never seen these varieties - all look delicious!! And lovely interiors as well - especially love the first!! I bought some of the best honey in Sweden made with cloudberries. If I can find it online, I'll send you the link. 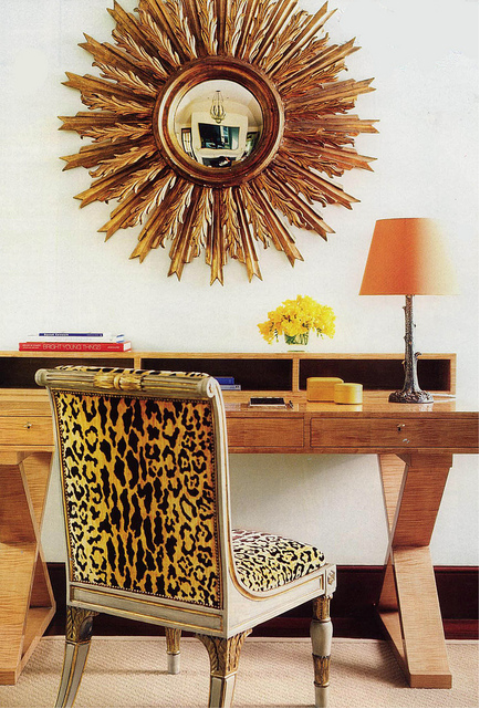 I loved the desk and mirror in the first shot...and yes, a great jar of honey can do a girl good. :) Have fun at the show - wish I could go but it's a bit far from here! PS - I hope you get your honey. I love this post. As a fellow honey-lover (the food AND the color) I came back to it several times over the weekend. Honey of the month club? Sign me up, mama!!! I do love that last bedroom. It's not my go to color, but its warm and peaceful and sophisticated. I hope you enjoyed the home tour! 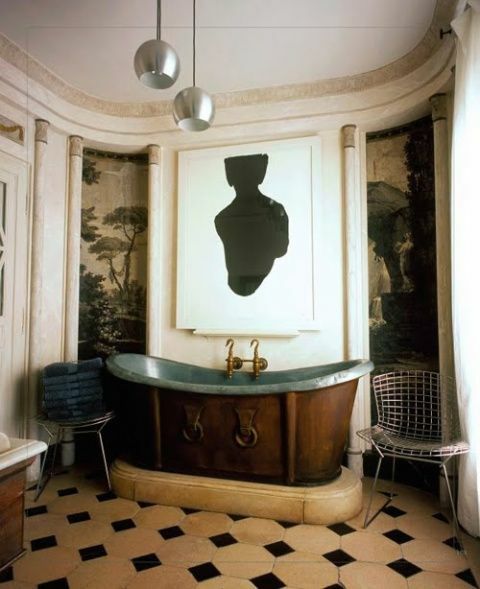 Mmm, that bathroom is so gorgeous and masculine! Have you tried Manuka honey yet? It has a lovely taste and contains the highest amount of honey antibiotics. I sometimes use it in a mask with olive oil and sugar. So happy to have stumbled upon your blog today! It's lovely!!! 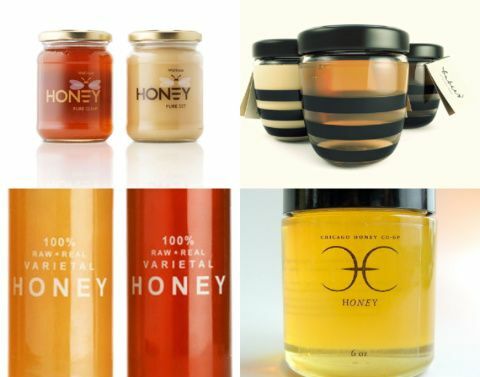 You are SO right about honey & honey tones ;) I'm LOVING the honey jars with the black stripes! Where can I buy those?! We are currently hosting a hive in our yard for Ballard Bee Company (.com). I think you'd like his jar design too. The honey is fantastic, and the bees are fascinating.